Made of metal material, durable and easy to use. The professional way to hang billboards, glass, artwork, large picture. Professional high quality art hanging system for your art gallery, home or business. 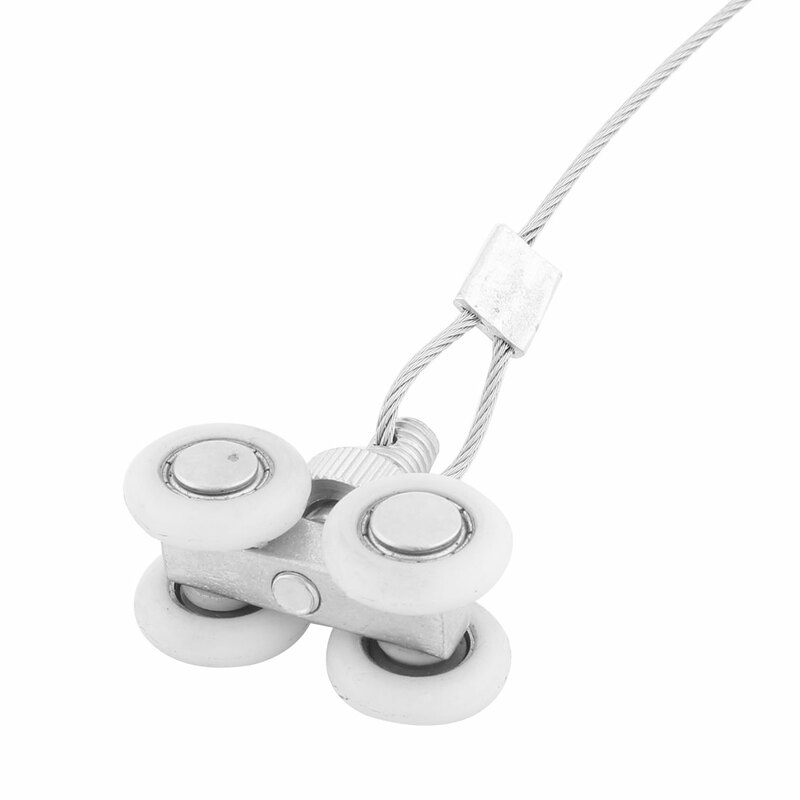 Quick adjustable cable grippers lock securely for precise art hanging from gripper hooks. Great kit for the home, office, workplace, or anywhere you need to hang artwork, fits neatly in kitchen and office drawers, hardware or craft cabinet. 1.Please allow 1-3cm error due to manual measurement. Pls make sure you do not mind before you bid.2.Due to the difference between different monitors, the picture may not reflect the actual color of the item. Create a professional-looking gallery in your living room, elevate your dorm room style. Can be ideal for your hanging needs to hang up perfectly like: wedding photos, posters, framed maps, framed postcards. Ideal for plaster or drywall surfaces. High quality hangers. The picture hanging hooks which mounted on cable are adjustable.